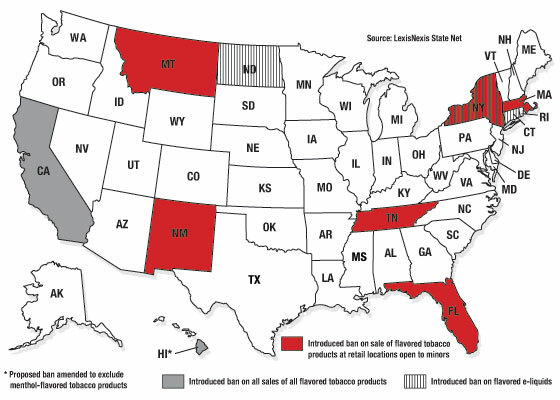 As of April 9, at least 10 states had introduced bans on the sale of flavored tobacco products, including e-cigarettes and other vaping devices. Most of the proposals would exempt establishments that prohibit minors. 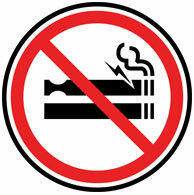 Some would apply only to e-liquids used to refill vaping products. 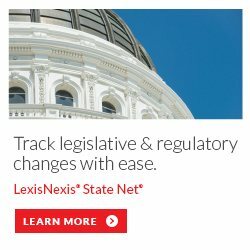 But at least two states, California and Hawaii, have introduced measures that would ban all sales of all flavored tobacco products, although the House version of Hawaii’s proposal, HB 276, was amended to allow sales of menthol-flavored products.